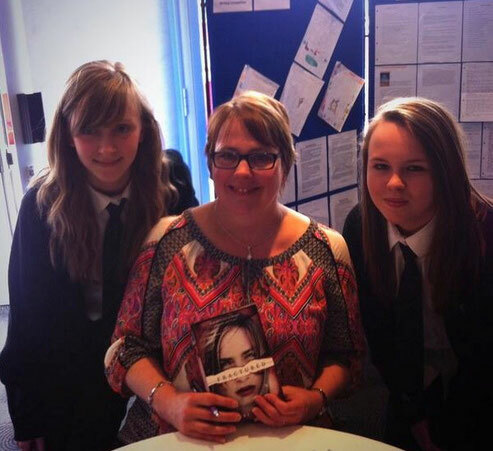 Slated at the Rotherham Book Awards! 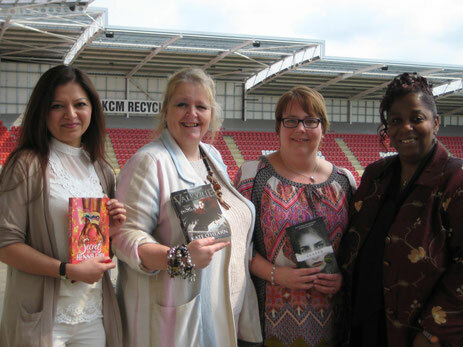 I had a marvelous time last Wednesday at the Rotherham Book Awards. Slated was on the shortlist in the teen read category. The morning began with a marketplace, with booksellers including Diane and Gemma from Gemma Books (they have loads of signed copies of Slated and Fractured I did for them at the end, too), us authors talking to students and signing books/notebooks/bits of paper/pretty much anything and everything. And there were displays of amazing alternative covers and creative work to admire. And then everyone had a seat, and we heard some more about the book awards, and students prizes for writing, poetry and covers. 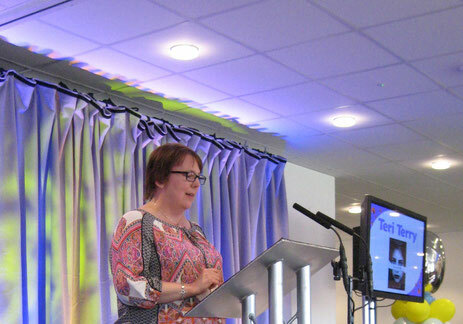 I usually get really nervous before I speak in front of loads of people - not this time! I think it was because the way the morning was structured. As I looked across the audience, everywhere I saw smiling, friendly and enthusiastic students I'd been chatting with earlier. It felt like talking to a big bunch of friends, like the ones below: lovely! Charlotte on the left and Hollie on the right: thanks to Hollie for the photo! And then, came the moment: who won? Jeff Norton won in the upper category for Metawars. And Slated did for Teen Reads: hurrah! Hi Teri Terry. 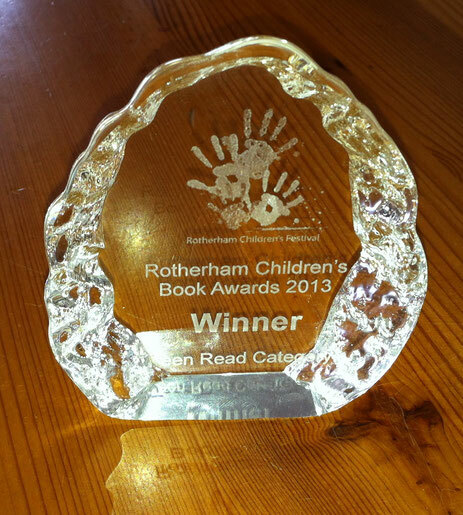 My name is Charlie and I was at the Rotherham Childrens Book Awards and I have just this minuite finished Slated. I have cancelled all plans for tomorrow so my agenda now reads: 10:00-12:00 go out and buy Fractured 12:01-23:59 read Fractured. It was really nice to meet you and I have your autograph on my wall currently. I am so sad that I will have to wait a whole year just abouts to read Shattered but it is a great series and will be worth the wait. Hi Charlie, how wonderful, thank you so much! And it isn't really a whole year to Shattered, it is less than 6 months now - out on 6th March. 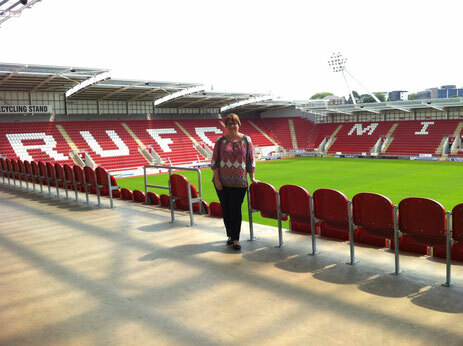 Hi Hollie, thanks for letting me use the photo! And there are so many great books out there (and you've probably gone and picked some already by now!). Some new books - how about Dead Jealous by Sharon Jones? Or Shine by Candy Gourlay (persist with this one, the story is amazing).